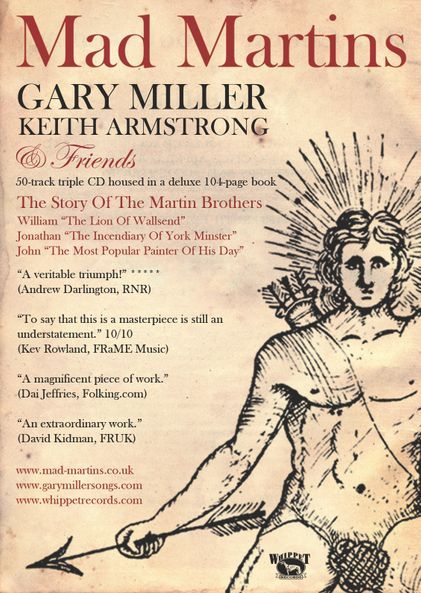 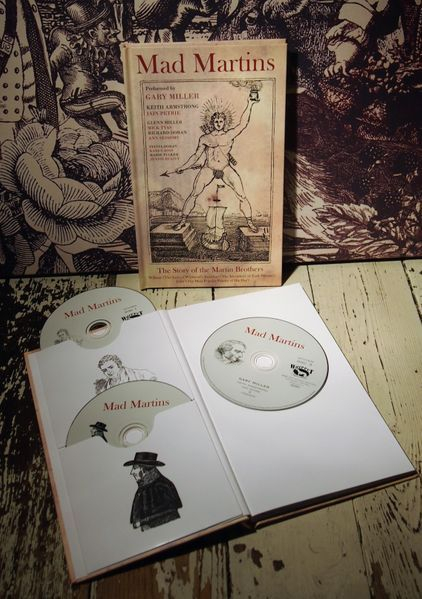 Mad Martins is available as an epic 50-track triple CD by Gary Miller with Keith Armstrong, Iain Petrie & Friends, housed in a lavishly-packaged 104-page Deluxe Book designed by Helen Temperley containing lyrics to all the songs, poems and spoken-word pieces, with additional interlinking text and many beautiful images, including paintings, engravings, sketches, illustrations, and original artwork, further enhancing the story. 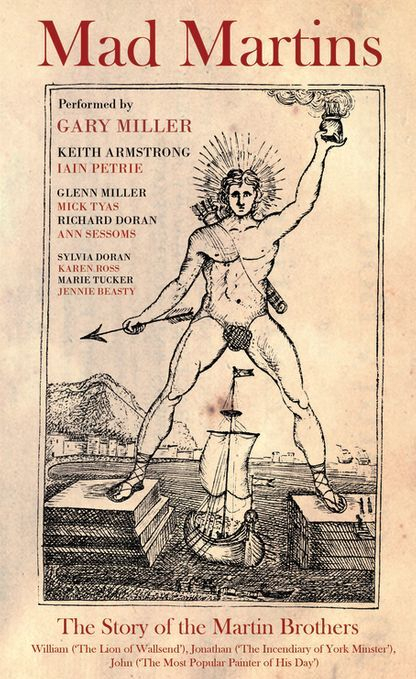 You can browse some of the pages from the book in our Gallery. 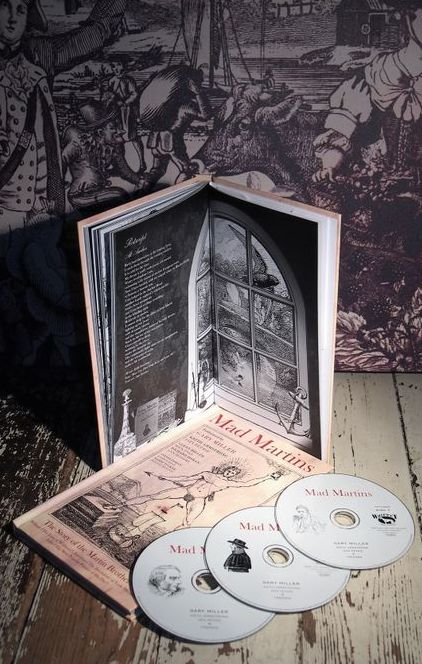 Mad Martins is released by Whippet Records (WPTCDB24) and is available to buy direct from our Shop. 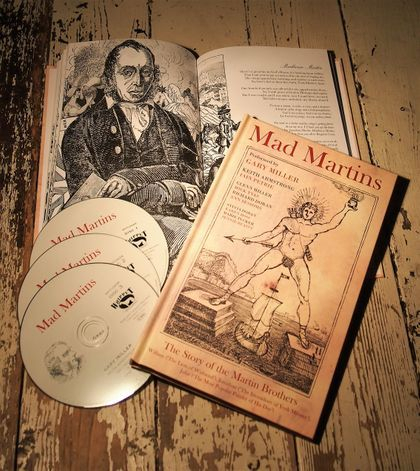 Mad Martins CD & Book - Reviews and Articles.